Rawadh Al Khalil - Standard Double Room (2 Adults) - . 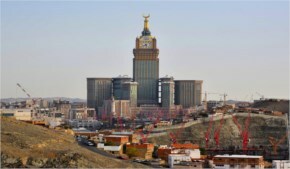 Rawadh Al Khalil Hotel is a three stars hotel, it is located in Ibrahim Al-Khalil street - Next to the Mayor Misfalah, Makkah. 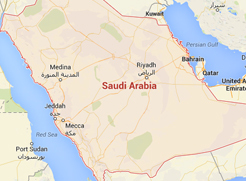 It is only 900 meter to Jabal Omar Project, and 1.3 km away to The Holy Haram. With its unique location, the hotel own a wonderful design and a comfortable furniture. Rawadh Al Khalil Hotel includes a restaurant. 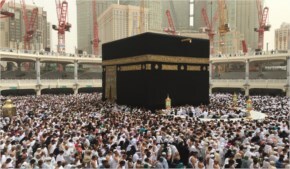 Enjoy discovering Makkah City by visiting the important landmarks such as: Ajyad Hospital, Abraj Al Bait Shopping Mall, The Holy Haram, and Reyaa Bakhsh Mountain. It offers free Wi-Fi and public parking lot to enjoy a wonderful stay. When would you like to stay at Rawadh Al Khalil? The room offers four single beds, this room also includes kitchenette, minibar, tea/coffee Maker, and private bathroom, to enjoy a convenient stay. Rawadh Al Khalil - Quadruple Room (4 Adults) - . The room offers two single beds, this room also includes kitchenette, minibar, tea/coffee Maker, and private bathroom, to spend a wonderful time. Rawadh Al Khalil - Standard Double Room (2 Adults) - Rawadh Al Khalil - Standard Double Room (2 Adults) - Rawadh Al Khalil - Standard Double Room (2 Adults) - . The room offers three single beds, this room also includes kitchenette, minibar, tea/coffee Maker, and private bathroom, to enjoy a pleasant stay. 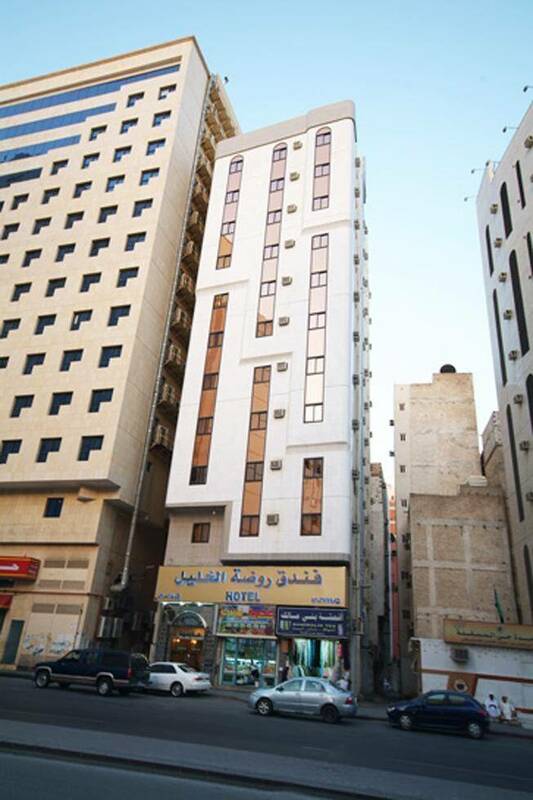 Rawadh Al Khalil - Triple Room (3 Adults) - . Rawadh Al Khalil Hotel contains a highly convenient units, fully equipped with all sort of services and amenities such as wardrobe, air conditioning, flat screen TV with satellite channels, kitchenette, minibar, tea/coffee maker, and private bathroom with free toiletries in each unit. The units have several decors with types and sizes include: Standard Double Room, Triple Room, Quadruple Room. Rawadh Al Khalil Hotel includes restaurant that offers delicious cuisines. Room service is also available for guests comfort. Rawadh Al Khalil Hotel offers meeting facilities.